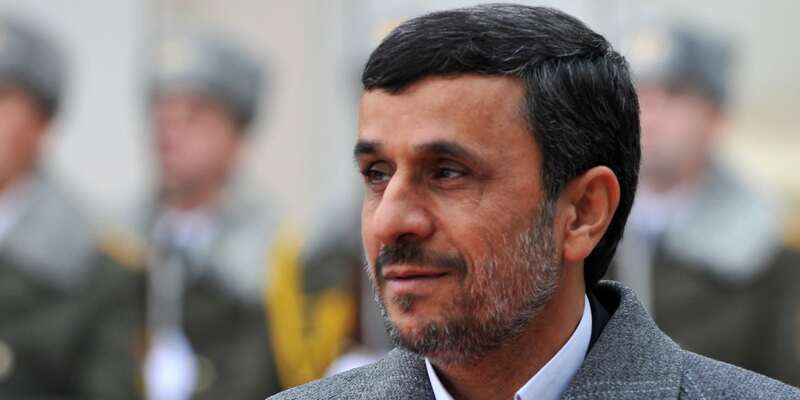 A variety of media outlets are reporting that the former president of Iran, Mahmoud Ahmadinejad has been placed under “house arrest” (not in prison or anything) for basically speaking out against the current regime. While it’s probably unrelated to this, Mahmoud Ahmadinejad was the man who spoke out against weather warfare in 2012. He openly said that certain technology was deployed over the Mediterranean, which caused rainfall to cease over Iran. 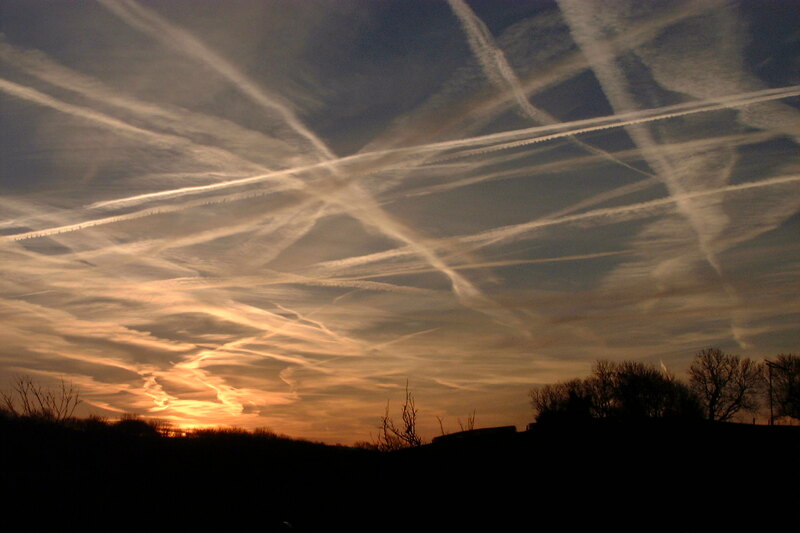 He obviously was talking about the skies being sprayed to geoengineer drought and hot temperatures in Iran. It’s probably not related to this house arrest incident, but either way it would make sense that he is a man that stays true to his convictions if he was punished for speaking his mind recently. He reportedly made some comments about the administration of current president Hassan Rouhani. On one hand, the mainstream media (including the Blaze quoted above) and government is obviously using the fact that protests are erupting in Iran to try and destabilize their number one enemy to the maximum. The same propaganda you’d expect to see 20 years ago is still raging against Iran. “It’s quite the blanket statement to say that all Iranian protesters are foreign agents. There are legitimate protests in Iran expressing their frustration with the economic hardships the country faces — but not necessarily for regime change as the hawkish American media would like you to think. Remember — like Venezuela and other nations sanctioned by the US government for resisting the Western corporate takeover of their industries– most of these economic hardships in Iran are brought on by the West to hurt the average citizens of these countries. This puts pressure on the people to take to the streets to protest because of the lack of job opportunities and lack of income. This gives the US an opportunity to paint demonstrators as demanding regime change. It’s the perfect formula for deceiving the public that we must “help the Iranian people” , which is code for murican style democracy aka arming protesters to sink the nation into chaos. Having said all of this, there are also infiltrators from the terrorist group MEK and other foreign agents that have taken advantage of the protests. They have killed police officers, set buildings on fire, hurt peaceful Iranian protesters etc to manipulate the media narrative that regime change is wanted. This is very similar to what happened in Syria — What went from real legitimate protests expressing frustration with the lack of opportunity and economic hardships, the US immediately took advantage of this and began arming protesters to remove a government they didn’t like. That sunk Syria into a civil war, created the largest refugee crisis and exacerbated terrorism. For Syria and Iran though — regime change brought on by the US won’t work because the truth is that the majority of the people of those countries do support their government. This is very confusing, but it may be insightful for those who follow the possibility of a false dichotomy-conspiracy type situation between the US and its alleged enemies: this is the theory that the US isn’t really all that opposed to Russia, or the US isn’t all that opposed to China despite being famously trapped in rivalry. As both left and right American politicians have shady ties to particular shady Russian or Chinese individuals or entities, one has to wonder whether the conflict with Iran is real or not, or how it is and isn’t real in specific. The conflict with Iran however seems much more real and intense than the US’ opposition to perhaps any other country in the world. Could a faction of Irani power represented by former president Mahmoud Ahmadinejad represent a split with the faction of power represented by Iran’s current president? Could one of those factions be more opposed to western hegemony while the other is not? Either way, it’s absolutely incredible how Mahmoud Ahmadinejad outright accused the West of using weather warfare to engineer Iran’s drought, and that should never be forgotten.